Out of all Excel features and functions, Macros provide the largest opportunity for time savings. By far. If you are comfortable working in Excel, and are ready to explore VBA, this course is for you. It goes way beyond the macro recorder! This is not a simple introduction to macros, this is an in-depth course that will enable you to write your own custom macros, applications, and even add-ins. 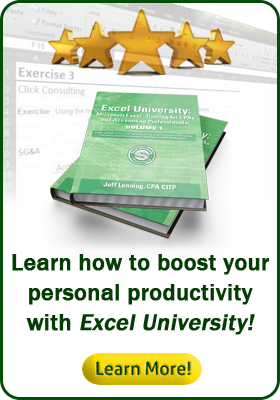 Macros are a critical skill for any Excel user looking to maximize productivity.